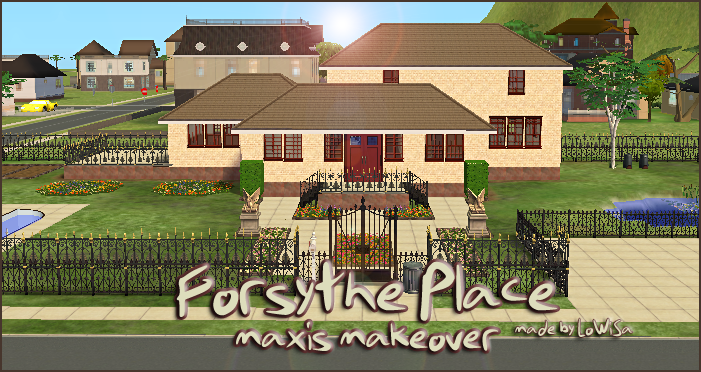 My personal makeover of a house came with Glamour Life SP - Forsythe Place (original). I rebuilt house and garden and floorplan a lot. House is maybe big but well playable. 2 bedrooms, 2 bathrooms, kitchen, dining, living, study room and spare room. 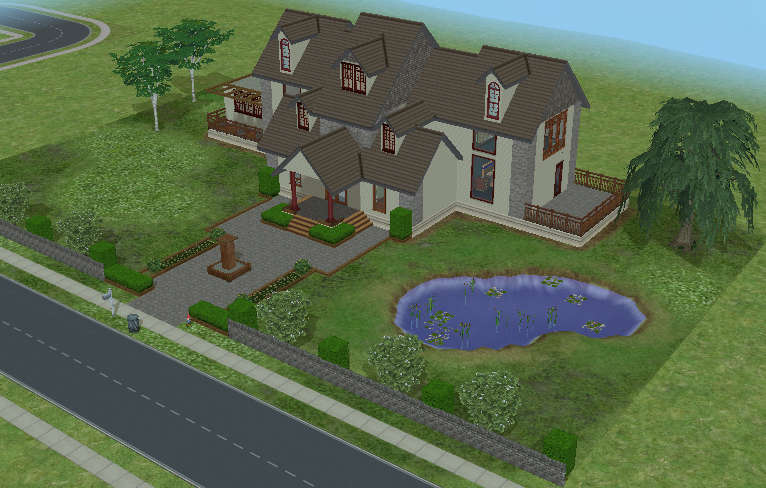 I leave it like I used to play it, but unfurnished and no CC is included, garden is fully landscaped. All expansions and stuff packs are required.